I've been trying for about a year now to switch over to pure text files for all of my documents. 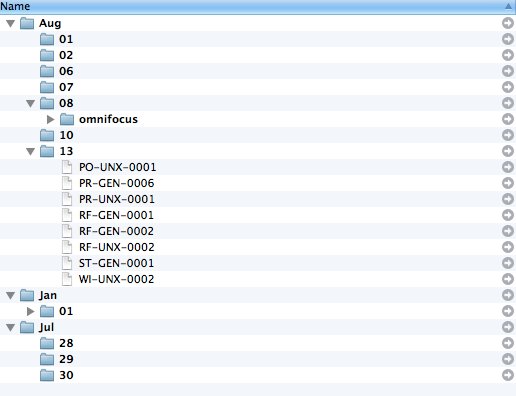 I love the simplicity, the portability and the longevity of text files. Not being locked into proprietary formats and being able to chose which application I want to use to write my documents, all lofty and noble goals. I've taught myself Markdown and love writing everything I can in it. Only problem is, about three years ago, I got myself entrenched in Evernote. I use Evernote for a huge majority of my document storage, from images, spreadsheets, presentations to PDFs and text files. Using Hazel and my beloved ScanSnap scanner, I've completely embraced a paperless lifestyle. I just feed the paperwork into the scanner, it scans both sides, performs OCR on the document and decides what to do with it. Hazel reads the file and if there is a rule set up for that type of document, it automagically renames it, pushes it into Evernote, tags is appropriately and removes the file. If it's something that needs some action (bills etc), then an Omnifocus task is created with a link to the Evernote note inside it. That's some pretty frictionless automation. Once it's in Evernote, everything is searchable. It's available on all my platforms and has yet to let me down. The other thing is that writing in Markdown just feels right. Moving from Evernote will be a huge deal for me and something I'm really not sure I'm ready for. Using something like openmeta might help me get over some of the problems and spotlight searching is a lot more robust than it used to be. For much more tag related awesomeness, checkout Brett's blog. My Evernote system contains 3,000+ notes and I've finally managed to get SWMBO into searching within Evernote for things. 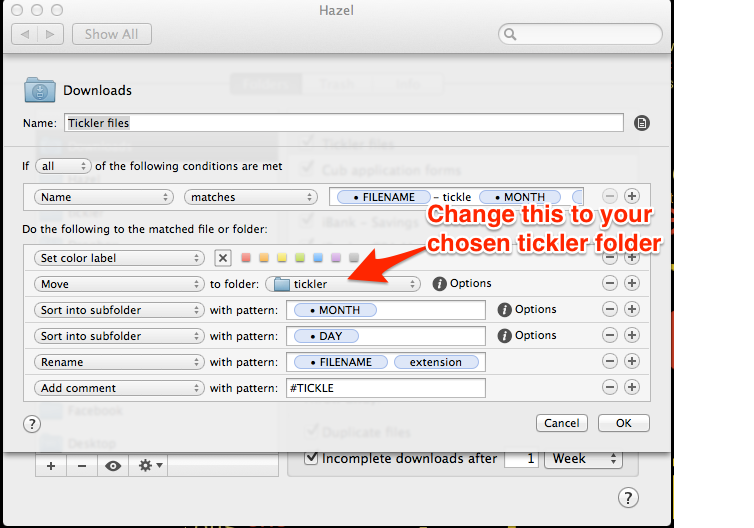 I think I'm going to spend some time hacking up some Hazel rules to dual dump into Evernote and into a filesystem and see how things go. I'll update as I go.